Welcome to Viva Las Vegas Weddings. 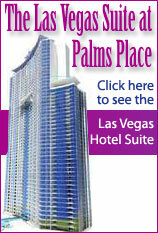 View video samples of our Las Vegas weddings. We offer these wedding video samples to make sure the Las Vegas wedding you reserve is what you receive. Only offered at Viva Las Vegas Weddings and Chapels. --The wedding links below are recordings of weddings that were held in one of two indoor chapels, the gazebo or the Diner. --You will need RealOne Player to view our live wedding archives. Get the free version of the RealOne Player here. Please follow their step by step instructions for installation. Real Player speeds may vary depending on network congestion and your ISP connection. Tour Our Wedding Chapel & Hotel Disco Wedding Baby its Austin! Viva Las Vegas Weddings and Vegas Chapels are committed to making your wedding dreams a reality! Due to network connections, real audio speeds may vary depending on network congestion and your ISP connection. We are not responsible for network outages, computer gremlins, power outages or acts of God that may interfere with our live web streams. For support on RealPlayer or Realone Player software go to www.real.com Thank you, Thank you very much! Copyright © 1999 - 2012 Viva Las Vegas Weddings, Inc.™ All rights reserved.